A new study shows that a brain structure associated with memory is different in NFL players who lost consciousness from a concussion than in a control group. 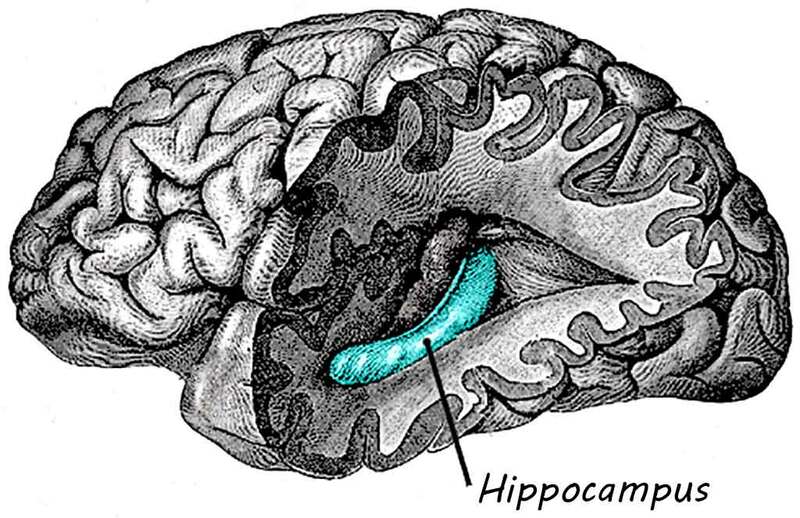 The hippocampus, a part of the temporal lobe of the cerebrum, was smaller if the players suffered a concussion and lost consciousness than it was in a control group of men of similar age and education. The findings are published in the May 2015 edition of JAMA Neurology. In other work, published in this issue, researchers at the Mind Research Network-Lovelace Biomedical and Environmental Research Institute in Albuquerque, N.M., found that blood flow to the cerebrum was both decreased one month following a concussion in slower-to-recover athletes and was inversely related to the magnitude of initial psychiatric symptoms. Scientists in that study were looking for a way to predict the long-term effects of concussions. Here’s a link to the entire contents of this edition of JAMA Neurology. The findings were reported in today’s edition of JAMA Neurology, and they represent the first study to compare the relationship between hippocampal volume, memory performance, and concussion severity. The study was conducted by a team of neurologists and neuropsychologists from UT Southwestern Medical Center and the Center for BrainHealth at UT Dallas. “This is a preliminary study, and there is much more to be learned in the area of concussion and cognitive aging,” said Dr Munro Cullum, professor of psychiatry and neurology and neurotherapeutics at UT Southwestern, a co-author of the study. “While we found that aging individuals with a history of concussion and loss of consciousness showed smaller hippocampal volumes and lower memory test scores, the good news is that we did not detect a similar relationship among subjects with a history of concussion that did not involve loss of consciousness, which represents the vast majority of concussions,” said Dr Cullum, who holds the Pam Blumenthal Distinguished Professorship in Clinical Psychology. Some of the retired NFL players also met criteria for Mild Cognitive Impairment (MCI), a condition that typically affects memory and may lead to dementia. The findings were more pronounced among those who experienced more severe concussions. The former players ranged from 36 to 79 years old, with a mean age of 58. Twenty-one healthy men of similar age, educational level, and intelligence with no history of concussion or professional football experience served as control subjects. The results do not explain why the hippocampus was smaller in the athletes who suffered more serious concussions. Some shrinkage is a part of the normal aging process but the reduction is accentuated in MCI and was even more notable in those MCI subjects with a history of concussion accompanied by loss of consciousness. Thus, there appears to be a cumulative effect of concussion history and MCI on hippocampal size and function.